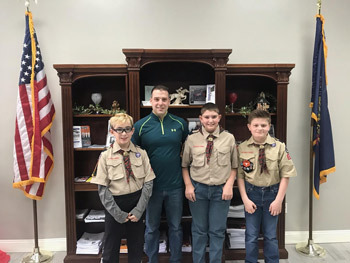 Last weekend, I met with three Belle Vernon area Cub Scouts in my district office. The Webelos and I talked about how state government works and the role of a state representative. The House Appropriations Committee held its first series of 2019-20 state budget hearings this week. The hearings are designed to give members the opportunity to question state officials about their funding requests and ensure state government is accountable for how it spends taxpayer dollars. Members also focus on ensuring the budget supports policies that improve the state’s economic climate and support the creation of private sector jobs.